Really like this as well. Katrina and Ike, here. I watched the Western eye-wall of Ike pass over my house at about 3am on a battery powered TV. The roar of it was insane but everyone else slept through it peacefully. mariomart and skyefalcon6 like this. 24h, siblingchris, skyefalcon6 and 2 others like this. Was it hard to find that Neptun? Is it lower part of the dial flat or like 3d impression. I bought this five years ago on ebay. It is a version of 2010 or 2011. There is also a green, red and yellow version with the same dial design. It is quite difficult to buy today, but it is possible to buy a version without the Neptune symbol. Lower part of the dial is flat. Thanks for that. I found them on Meranom. Hi , thanks for info. I have been seeing those models a lot on pintrest , was not sure from what year was production. I was hoping that lower part of the dial is raised ( like new Neptun 960). Anyway , I have 420270 , with yellow numbers, coming from komandirskie.com. But will miss Neptun head. If you would be very interested in this Neptune model, I may know about one piece with blue or green numbers for sale on another forum. 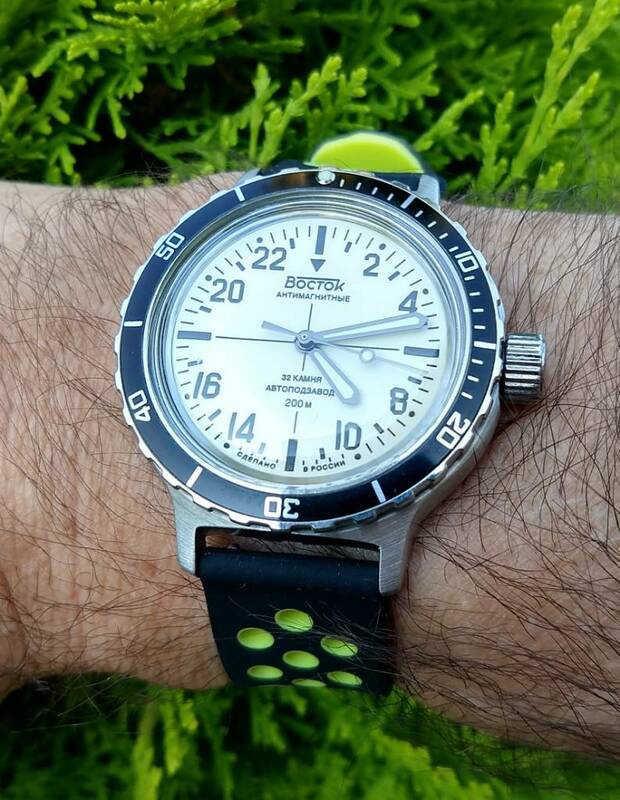 The price was high enough for Vostok watches. Neruda, elsoldemayo, 24h and 3 others like this.